Provide comfort for the family of Karla Warren with a meaningful gesture of sympathy. 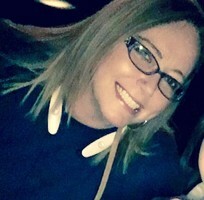 Karla Denise Warren, 47, of Waco, went to be with her Lord on Sunday, February 24, 2019. A memorial service will be held Sunday, March 3 at 3 pm at OakCrest Funeral Home with Brother Mike Chance officiating. Karla was born November 10, 1971 in Clifton, Texas to Bill and Sandra Lou (Pilant) Warren. She attended Waco High School. Karla enjoyed reading and watching movies with her mom. She loved to spend time with her family, especially her sons and her grandchildren. They were her pride and joy. Karla adored her brother, Keith. They had such a strong bond and she would do anything for him. Karla was preceded in death by her grandmother, Wanda Marie (Samuelson) Pilant; grandparents, Charlie and Emma Bates; and her cousin, Nathan Lee Pilant. She is survived by her parents, Bill and Sandra Warren; grandfather, Freddie M. Pilant; sons, Justin Warren and Cody Carpenter; she was “Bams” to grandchildren, Bryson Warren, Karcyn Warren, Gunner Warren and Kannon Carpenter; brother, Keith Warren and wife, Zita; nephews, Nicholas Warren, Carson Elias and Noel Jaimes; nieces, Laliah Valenciano and Meagan Landers; aunts and uncles, Terry and Wanda Pilant and Randy and Carol Pilant; her bestfriend, Cheyenne Mullins and her children, JR and Bella Mullins, who Karla loved as though they were her own. She also leaves behind numerous cousins and extended family. To send flowers in memory of Karla Denise Warren, please visit our Heartfelt Sympathies Store. Christi Acree sent flowers to the family of Karla Denise Warren. Christi Acree purchased flowers for the family of Karla Warren. May your family find solace from the Father of tender mercies and the God of all comfort, who comforts us in all our tribulation. He promised that in the Paradise life will be a delight, more than we can imagine. (Psalm 37:29; John 5:28, 29) Until then, trust that in due season, Jehovah God heals the brokenhearted and he binds up their wounds. Wishing you the strength you need in the days ahead. My condolences to the family. Such a shock. Bill and Sandra, no parent should have to feel the pain of losing a child, no matter the age. I pray the wonderful memories and sons along with the grandchildren she left behind help comfort you today and the days ahead. You will be in my thoughts and prayers !! My condolences to the Warren family during this difficult time. In the Bible, Jehovah God gives us hope. Acts 24:15 says, “there is going to be a resurrection of both the righteous and the unrighteous.” Revelation 21:4 says, “and he will wipe out every tear from their eyes and death will be no more.” Very soon we will see the fulfillment of these promises here on Earth. We hope you find comfort in God’s promises.